If you work in marketing or sales, own your own business, or simply want to brush up on your marketing this year, then this blog post is worth a read. We’ve not only pulled together a list of potential resolutions for your 2018, but also given you insight and actionable tips so you have no excuses not to get them ticked off your list and start reaping the benefits! 2018 will be the year that marketing teams will have to up their game by creating experiences that are valuable, relevant and personalised through each stage of the customer lifecycle, from stranger to promoter. A shift in mindset will be required to move from traditional campaigns to "always-on" as we begin to focus on delivering a series of experiences that help people feel like they are making the right choice when selecting or retaining products and services. Don't just talk about them - actually publish them. Give them away. Encourage people to try them out. Some people will try them, get great results, and become your number one advocates. But when most people try them, they'll find that it doesn't *quite* deliver everything they need. They know the recipes are awesome, so they'll blame themselves and come running asking for your help. And they'll be ready to sign a nice fat PO because they have some sunk cost in the game already, and they've started picturing the new world when this all works. They're invested. They don't just need your help, they want it. Or you could keep that sauce secret in case someone steals it. If you don't publish your recipes those same people won't be singing your praises or throwing money at you. They won't even know you exist. Until you apply for a job with them. Get it. Because you went out of business. Because you didn't have any customers. Because you didn't take my advice. 2018 is an exciting time with constant new inventions, programs, processes, social media developments, and more. If you think there may be a way to improve a process or a better platform to use, don't be afraid to spend some time researching them and trying them out with a (hopefully free) trial. Your company should be open to new ideas if they will improve efficiency for you and/or your client. If it doesn't work out, you can feel confident that you are using the best of the best. If it does work out, then you made an improvement to your company, no matter how small it may be! The concept of the sales funnel is not new, but many people believe marketing sits purely at the top of it – increasing awareness of products or services, and attracting visitors to your website. While marketing is an ideal way to achieve this, it can do so much more, and a great inbound marketing strategy is not complete without addressing the top, middle AND bottom of the funnel. If your company is maybe guilty of ignoring the full funnel, then make it your goal to move beyond just focusing on the top, and start truly impacting leads and sales and embracing all the opportunities in front of you. Unlock your true potential and drive the best possible results by combining top, middle and bottom of the funnel marketing strategies in 2018. If you’re not already creating videos, then you should be. One stat I have read over and over is '82% of web traffic will be video by 2021'. We have to adapt now to embrace this huge opportunity. Our audiences want to consume video content, so we should give it to them. While many companies are quite happy to stay inside their comfort zones, there is risk attached to not being bolder about how you present your business to the wider world. Does your website or print collateral look pretty much identical to your competitors? Is there something unique about your offering or are you just another ‘me too’ business looking for market share? Are you brave enough not to merely ‘follow the crowd’, especially if you’re not the market leader? If you have strong ideas or innovative technologies then it's possible to gain a competitive edge over those big names with big budgets. At Fifth Ring we call this the ethos of the ‘challenger brand’. By adhering to the principles of the challenger brand and developing strategies and campaign ideas that differentiate your brand, you can disrupt the market and make your competitors really sit up and take notice. Being a challenger brand means eventually they may even look to you for the way forward. Is your brand a challenger or just an also-ran? Are we too often basing our actions and decisions on opinions? Most likely. It’s so important that we continually test our designs, content and more to see what actually works, instead of simply guessing. A/B tests, or split tests, are a fantastic way to do this. We can quickly see what will drive results, and what will actually make results dip. Our team is constantly testing in this way – whether it’s our call-to-action buttons, our Facebook ad copy and images, and even our blogs posts. It allows you to continually learn, and you never know, your opinions may be proved right after all. But at least you can implement with confidence. Set goals for where you want to go; and reaffirm this with objectives that tell you exactly how to get there. This process is ideal at the start of a new year, where you can review the past 12 months and look positively towards the future. This may sound obvious, but it is surprising how many people don’t do this properly, or miss this step altogether. Marketing goals and objectives can be anything from increasing online visitors by 15%, to entering new global markets. What's vital is setting a clear marketing goal and breaking this into smaller objectives that can be reached across the year. Use SMART objectives to break your goals into smaller, more manageable parts. That way, your goal that seemed so big and daunting becomes something that can be accomplished over time in several steps. Upon completing these steps, you'll realise that you've reached the goal that you originally found overwhelming or even impossible. In this day and age, having a “one size fits all” content strategy simply does not work anymore. Content is so readily available in so many platforms that your message will most likely be overlooked if you do not carefully plan who it is targeting, what it will look like and where it will be seen. Companies should treat content as a strategic resource, if they haven’t already. Investments should be made to develop a customer engagement strategy that clearly addresses the challenges and opportunities of their buyer personas, and to gather deep insights to create the best content possible, for example scrolling habits, consumption preferences, and much more. This would give them enough context to develop the right content that would not only be attention grabbing, but appear in the right places at the right time to effectively reach and engage your target customers. Native mobile adverts are ad formats that blend into the website or app that you are advertising on. Instead of being a banner ad or a pop up that can be more of a nuisance than a help, native ads enhance the overall mobile user experience. Hubspot found that of Facebook’s 1.4 billion users, 1.2 billion of those use Facebook on their phones. So why optimise your ads for desktop viewing when your audience is likely to be viewing on their phones? Platforms are prioritising video content in their algorithms, so experimenting with this type of content is essential. Social media provides a great opportunity to post different forms of native video content targeted to mobile devices. From stories, to informative clips, to showcasing live streams - if you don’t start creating good quality video content now, you risk being left behind. One of the most common challenges we see with new clients is a lack of alignment causing wasted effort and reduced effectiveness of marketing activity, which in turn adversely affects sales performance. This can come in several forms, but simply put, there is a difference between having vision and having a vision. It is very common that everyone has their own understanding of what it is they (or their company) do or aspire to do, but this is not always consistent across each individual or group. Variance in how people understand and describe exactly what they do can cause confusion both internally and externally. This confusion can feed inaccurate market perceptions, and as such, may in extreme instances limit a business’s ability to effectively sell its full range of services. The obvious solution is to invest in increasing clarity across an organisation, starting at the top. Don't assume that everyone is on the same page as you. In fact, a safer assumption is that everyone’s understanding is somewhat different and in order to increase clarity, all of these differences must be identified and aligned. It may be simple to say, but achieving alignment and building clarity is more complex and there is undoubtedly an infinite amount of possible solutions to this problem. However, finding an appropriate solution and delivering it effectively will, at the very least, improve the effectiveness of your marketing efforts and likely have a knock-on effect to your wider business. Sharing is caring as they say... I think we should share a little more in 2018. As communicators, it’s a key element of our job and I think we could share more creatively. It's sometimes easy to create press releases and articles but are we reaching exactly who we need to? Is our audience on social media or are we missing a huge amount of people? Could that article be transformed into a blog or vlog and shared across many more channels? Not to mention positioning ourselves as thought leaders - we can all share our experience and expertise, share our thoughts, share our blogs and share our memes a little more than we currently do. The more we share our story, our clients’ stories, our own knowledge, the better! If all of the above sounds great, but you’re not exactly sure how to implement it in your business, then don’t be afraid to ask for help or embark on relevant training. Whether you’re the only person in the marketing team and don’t have enough time, you’ve never done this type of marketing before and don’t know where to begin, or you simply want peace of mind that you’re doing it right, there’s a solution out there for you. 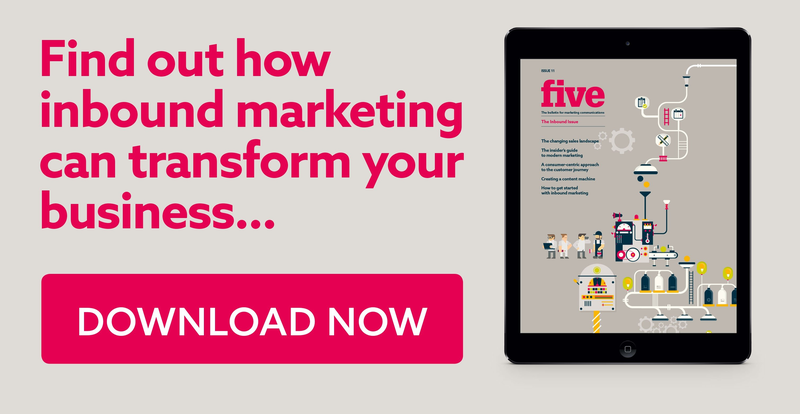 There are so many different ways you can get support to enhance your marketing this year – from getting some strategic advice to point you in the right direction, finding people who can implement the amazing ideas you have on your behalf, or signing up for an online course to skill-up you or your team. Keep it simple. Remember when people looked at billboards? What’s that? They still do? Well the rules are thus: deliver your message within 5-10 seconds. Ok, that makes a lot of sense. People are driving past and don’t have time to read a complicated verbose message. So now consider where everyone is. Online. Every post, every ad, every article, every blog and the like is swiped past by a single digit, often in a fraction of a second. So the message has to pack a punch and be as simple and relevant as possible. In less time than a billboard. Internet users have an average 7.6 social media accounts. In fact, there’s a new social media user in the world every 15 seconds. We are all bombarded with thousands of messages every day. So yours has to cut through. Begin with an enticing, benefit led, single-minded proposition, and you’re already starting with a fighting chance of delivering something worthwhile. If you set off on the right foot, you stand a better chance of developing a wonderful piece of engaging communication that your target will find hard to swipe past. So there you go. Make your message to the outside world a simple one. And make more sense, in every way.